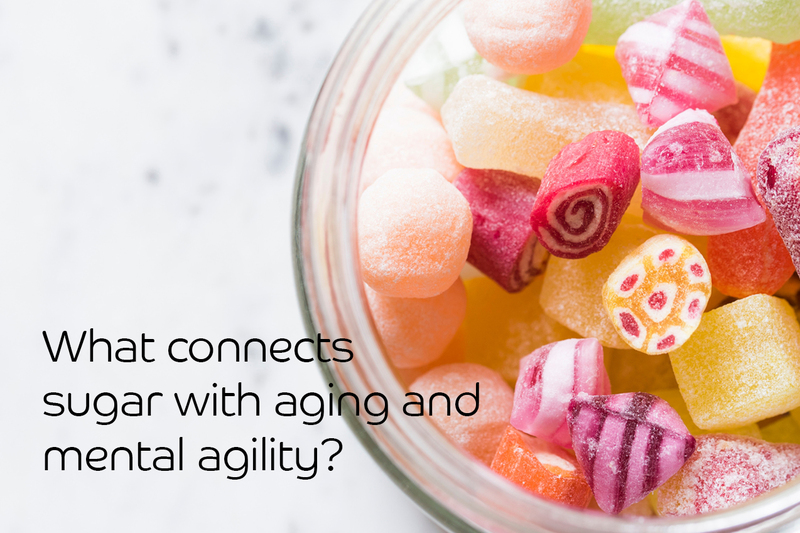 WHAT CONNECTS SUGAR WITH AGING AND MENTAL AGILITY? Did you know that according to the World Health Organization, 8 out of 10 deaths in Mexico are caused by chronic diseases related to overweight and obesity? It is an alarming figure. Where does this obesity epidemic come from in Mexico? Behind these two conditions is a malfunction of the hormones that handle glucose. These hormones are what determine how fast you age, they determine if you feel more or less hungry, if you store more or less fat. Everything we eat turns into glucose. It is the exchange currency at the cellular level, that is why it is so important for our body. But with excessive consumption of processed foods, lack of physical activity and stress, the body loses the ability to properly process glucose. This mechanism is insulin resistance. How many years do you want to live? How do you want to live them? It is key to optimize the hormones that handle the glucose, because they are not only essential for many processes of your life at this time, but your quality of life in the future depends on them. Nowadays, science is getting to extend the duration of our life more and more, but we do not only want to live longer, but better and enjoying full health. How will your body be at 70, 80, 90, 100 years? How will your brain be? Insulin resistance, meaning, poor management of these hormones, accelerates the deterioration of cognitive abilities and causes premature cerebral degeneration. It also affects all the inflammatory processes in the body, which are determinants for aging. We say that insulin resistance is derived from poor management of these hormones because these conditions are not something we are born with, but something that we create day by day with each bite and with the way we handle our body on a daily basis. The good news is that you can start improving them by making changes in your diet and your lifestyle. If you have a tendency to get fat or have been diagnosed with metabolic syndrome or insulin resistance, you can improve your body’s management to combat and even reverse these conditions. In Keat and in Beboon we have programs designed specifically to optimize the hormonal processes of glucose and insulin, come to us for support. Your body is made to be magnificently healthy and we want you to enjoy it that way. With each bite you can provide different instructions to optimize it! ⇐ IS IT BETTER TO EAT LOW-FAT MEALS? How to relieve constipation without drugs? Fasting to regenerate your body? How to stop being a slave to diets?